Lots of people have asked how to become an affiliate and earn commission on our WordPress plugins. Today we have finally launched the Barn2 Media affiliate program. 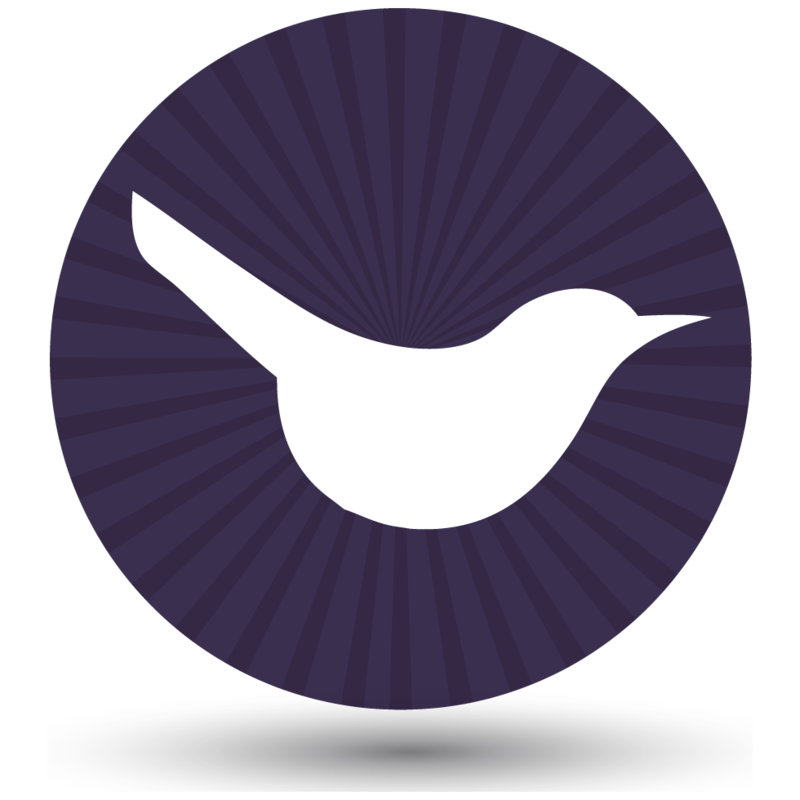 You can earn a generous 30% commission by promoting any of our premium plugins. You register to become an affiliate at https://barn2.co.uk/affiliates. We send you a referral link, or you can create your own in the affiliate area. You use the referral link whenever you recommend our plugins. Use it in blog posts, online reviews, email newsletters, and emails to clients and colleagues. Whenever someone clicks on your affiliate link, a harmless cookie will be placed on their website and stored for 30 days. If they purchase one of our WordPress plugins during the 365 days, you will earn 30% commission on their first year’s payment. You can log into your affiliate area at any time. We’ll pay your commission via PayPal every month. Which WordPress plugins can I recommend? Posts Table Pro is a unique WordPress table plugin. It’s the only one that creates instant tables displaying content from a WordPress website. You don’t have to input the data manually – Posts Table Pro does it all for you. You can use our table plugin to display WordPress posts, pages or custom posts, plus other data such as images, multimedia content, custom fields and taxonomies. This creates endless possibilities in terms of how the plugin can be used. It’s perfect for creating an index of blog posts, website table of contents, events list, image gallery, audio library or video gallery, WordPress document library or publications library or any sort of WordPress directory. I’m sure there are many more use cases that we haven’t even thought of yet! 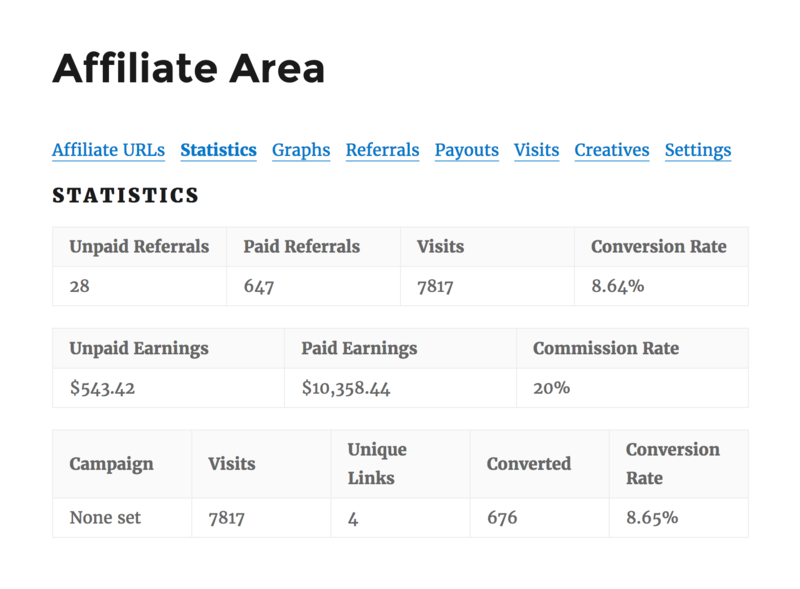 To earn affiliate commission for Posts Table Pro, I recommend thinking carefully about the different ways it can be used. If you’re an individual, think about whether any fellow website owners would benefit from dynamic tables of their website content. If you’re a blogger or reviewer, think of new and exciting use cases that no one else is writing about! WooCommerce Product Table is the WooCommerce version of our Posts Table Pro plugin. We created it in response to popular demand from Posts Table Pro customers who wanted WooCommerce-specific features in their tables. We rose to the challenge and created WooCommerce Product Table. 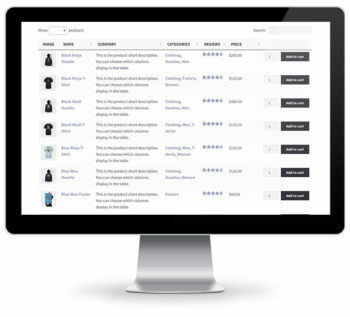 As well as displaying an online store’s products in a table, it includes extra features such as add to cart buttons, quantity selectors, customer reviews and more. To earn affiliate commission for recommending WooCommerce Product Table, I recommend thinking about the different ways in which online shops can benefit from a table-based view. Many different websites can benefit from displaying products in a grid format. This includes trade or WooCommerce wholesale stores and product catalogues. It’s popular for one-page order forms in WooCommerce. You can even use it as a restaurant online food order system. 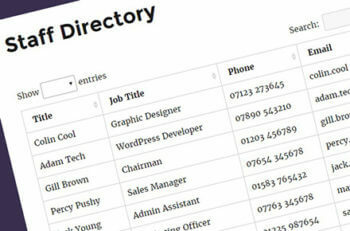 It’s popular for large product directories with thousands of products. Think about how else it can be used! With nearly 2 million websites using WooCommerce according to the latest WooCommerce usage stats for 2017, the market for any WooCommerce plugin is absolutely huge. This creates big opportunities to earn affiliate commission. WooCommerce Password Protected Categories is a simple but hugely effective plugin. We developed it to fill the gap for WordPress plugins to protect areas of a WooCommerce online shop. Surprisingly, nothing else is available to meet this need so you can benefit as an affiliate. The plugin does what is says on the tin. 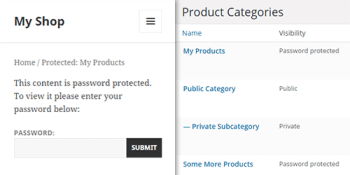 It lets you password protect one or more categories in a WooCommerce store. By password protecting a category, the category page, its sub-categories and products are instantly protected with a single password. You can also mark categories as private so they’re only available to certain user roles. The plugin has many important use cases. You can lock down an entire WooCommerce store or just one part of it. It lets you create separate categories for each customer (perfect for photographers etc.). You can create a trade area of your online shop to use as a WooCommerce wholesale store, separate from the public retail store. Photographers can securely upload photos and sell them to specific clients. As an affiliate, you can recommend WooCommerce Password Protected Categories to anyone wanting to create private areas in WooCommerce. You can blog about different ways it can be used that can’t be achieved using any other plugins. 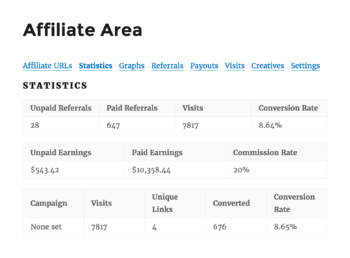 This puts you in a great position to each commission via your referral links. Join our affiliate program today. It only takes a minute and you can start earning commission straight away. It’s 100% free to become an affiliate. You only need your name, website address and the email address that you use to log into PayPal (so we can pay you!). We’ll also ask for basic information about how you plan to promote our WordPress plugins.